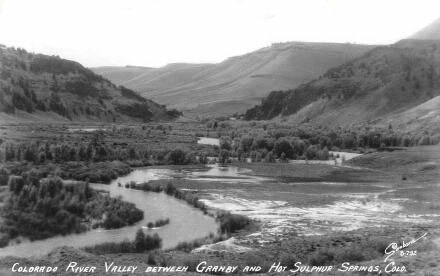 According to Louis Meyer of the consulting firm SGM, most water providers that serve households in communities from the Colorado River’s headwaters in Grand and Summit counties on down to Grand Junction have done a pretty good job of planning for the range of climate conditions that have been seen over the past several decades. However, most are not prepared for the more extreme droughts that both climate change models and ancient tree ring studies indicate could occur in the future. SGM is working with the Colorado Basin Roundtable to assess water needs and potential projects for a “Basin Implementation Plan” that will help inform the Colorado Water Plan that Gov. John Hickenlooper wants drafted by the end of this year. The Colorado Basin Roundtable, like its counterparts in other major river basins around the state, is a group of water managers and stakeholders charged by the state legislature with doing “bottom-up” water planning. Meyer and his team have been interviewing domestic water providers throughout the river basin to determine what their needs are and what kinds of projects would help them be more prepared for the future. Increasing reservoir storage, promoting conservation and addressing forest health all require money, and increasing storage requires permits as well. The small size of many water providers in the basin limits their capacity to take on big projects, so Meyer and his team have suggested more regional cooperation may make projects to increase the reliability of community water supplies more feasible. Water customers also have a role to play in determining the capacity of their water utility to plan and prepare for the future. If customers are not willing to help pay the necessary costs through their rates, it limits a utility’s capacity to act. Water providers are not only faced with providing safe drinking water to customers at prices that are often less than 1/10th of one penny per gallon, but now customers are much more aware of water-demand impacts on local stream health.